Whether you’re fleshing out stage-one ideas or enjoying the fruits of your entrepreneurial labors, you’re likely aware of how difficult creating a startup can be. The myriad of ups and downs, consistent pressure to perform, and often minute and seemingly unremarkable victories can be depressing. Still, despite the early and often repeated failures, there’s nothing quite like seeing a dream fully realized. And more than that, seeing other people enjoy it too. More than a passion project, starting your own business takes a sort of relentless drive and blind faith - a blind faith that I, as a Clevelander, am all too familiar with. After all, what is it besides blind faith that keeps a person rooting for a team that’s been relatively unsuccessful for 18 years? 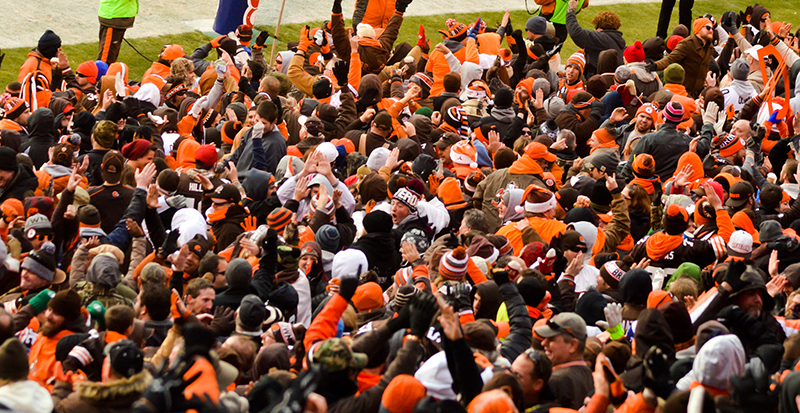 Clevelanders understand what it means to be up against long odds and thrive despite them. They’re a city of people willing to believe even when it seems illogical to do so, which may be why it’s become a place for other people to come and believe, too. That entrepreneurial spirit is prime in a city where hope is second only to the King. 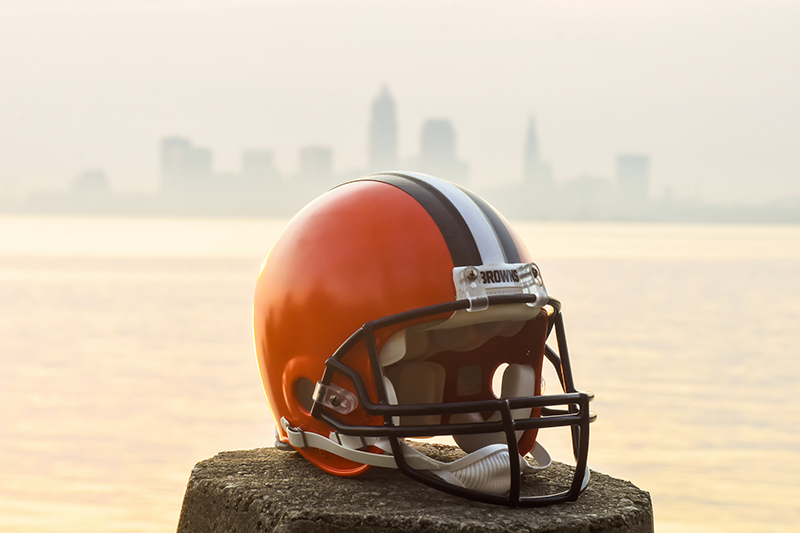 So for those of you still knee-deep in the trenches, I’ve compiled a list of helpful startup tools to aid you in the most Cleveland way I know how – a sports analogy. Image courtesy of Erik Drost. Licensed under Creative Commons 2.0. Looking at the odds for a startup isn’t that different than calculating the odds for a winning Browns season - they’re both bad. In the first year, 9 out of 10 startups are likely to fail. The upside is that most startups that survive their first two years stand a better chance of continued survival with every preceding year from that point on. So how do you make sure your business is the 1 out of 10? 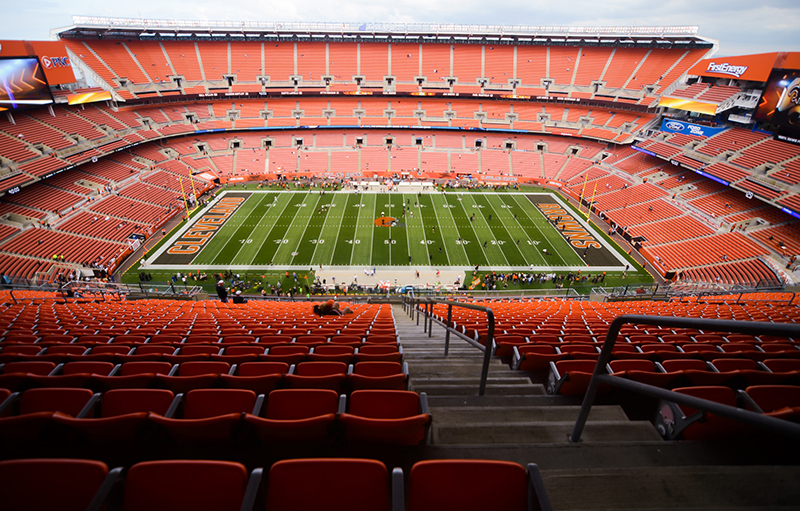 Let’s start by taking a look at some of the mistakes commonly cited as to why the Cleveland Browns are so bad. Though they’re unlikely to clarify why we haven’t won an opening game in 13 years, it’s always nice to know what you’re up against. Not that different from the reasons most startups fail. Fortunately, many of these pitfalls are avoidable. Though we may not solve the Browns conundrum in my lifetime, there are a myriad of business startup tips, tools, and applications for those entrepreneurs hoping to avoid being another failed statistic. The first step to entrepreneurial success is to be careful when hiring. 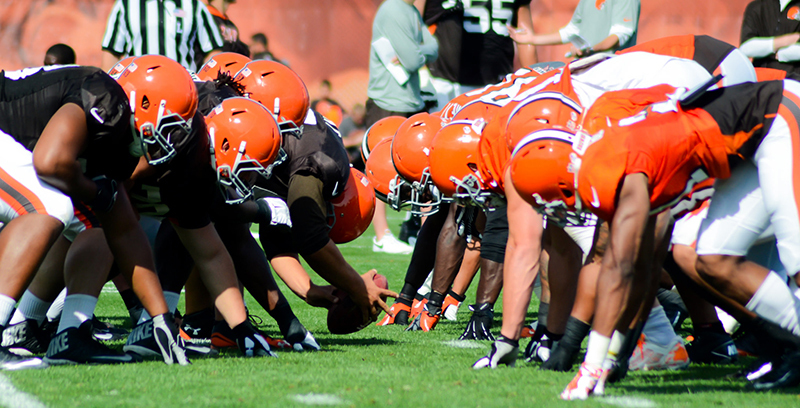 While searching for the ideal candidate take a lesson from the Browns’ standard recruitment practices – don’t overthink. Though you want to make sure you’re hiring the right person for your team, being too specific can lead to second-guessing, and in turn you may end up overlooking what’s right in front of your face. Utilize sites like Indeed.com, ZipRecruiter, and Linkedin where you can be very specific in your requirements and reach the most people. The next step to a successful venture is understanding your market and whether or not the product or service you’re offering is actually needed. For example, anyone looking to make a buck off a Browns fan is likely not going to come to them in full Steelers gear – or carrying any glass bottles. You need to understand the thought process behind your customer’s purchasing habits – what they like and dislike. Google Analytics will give you a clear insight as to who your customers are; including gender, age, and search habits. It will also give you an insight to which pages people are spending the most time on and which pages they’re not. Buzzsumo will show you not only what your customers are interested in, but what content works best for them. Moz Open Site Explorer allows you to check the ranking of your domain, your competitor’s domain, and how both your targeted keywords and content are tracking. Ahrefs can help you find out what topics and keywords are trending for your business. It will also let you look into who is linking back to your site. Spaces’ free logo maker can be helpful for new business without a huge budget to hire a logo designer. Then, once you understand your market, apps like Mailchimp, Hootsuite, and FollowerWonk will help you reach out and stay on top of it. Now that you know your base, it’s important to make sure your team is on the same page. Setting up clear guidelines about expectations and goals and giving those that work for you the tools they need to openly communicate and collaborate will go a long way. Rather than texting your employees from your office, or say, sending nasty remarks to less-than-happy customers from afar, try speaking with people directly. Slack is a useful office messenger system that will allow your team to set up specific channels for projects and send files with ease. Cashboard is ideal for tracking hours and managing tasks. Wrike is another great program for monitoring the time you put into each project. You can assign team members to share in on project hours as well. These apps will help keep productivity high and that communication going into the end of the season. Lastly, moving beyond your market, team, and leadership skills, it’s vital to keep track of your progress. Because no matter how great your product is or how committed the people that work for you are, if you aren’t getting anywhere then it doesn’t matter. So how do you measure your success? Most would say it comes through income. While I can’t speak to the profitability of the current Browns roster (that Amazon re-sell is rough), I can say that tracking your own as a small business is simple. WHMCS is a great client database that can be used as a record keeper as well as billing, invoicing and more. Intuit allows you to easily maintain all of your accounting through QuickBooks. It will help you keep track of taxes, payroll, invoicing, and more. Financial apps like Mint or Qapital will also help you maintain a set a budget and put money away for the future. In the end, any fledgling business is susceptible to forces outside their control. But having a clear vision and learning to adapt in the face of unexpected hiccups will make the road easier. 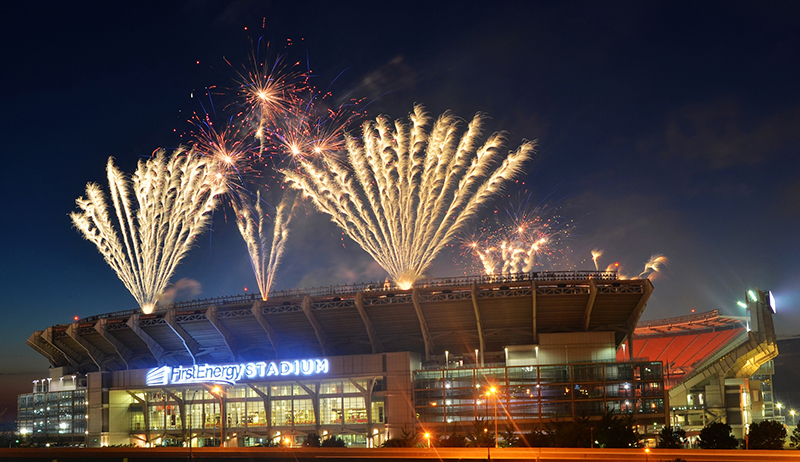 And remember, as with the Browns, any victory should be celebrated. Have more startup tips and tools? Let us know! Ashley is the Lead Content Writer at 216digital. When she's not writing she spends the majority of her time binging true crime podcasts and critiquing the choices of every chef on Chopped.